Located in Sutherland Shire, this beautiful little Cafe in Como is a great space for small functions. The Hazlehurst Cafe is right next to the Hazlehurst Regional Gallery and Arts Centre, such a lovely location for an intimate function. One of the oldest buildings in the Sutherland Shire, The Como Hotel is wonderful for all types of gatherings. Australian composer and pianist of new music, currently based in Sydney. Sydney based Singer and Song Writer, Aaron Lyon has many years experience performing live gigs. Specializing in wedding, event and brand collaboration there is no creation you can dream up that they can’t do! 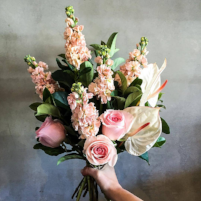 Engadine Florist has a reputation for having the freshest flowers, creative new ideas, and a team of florists with a passion for design and floristry. A small highly skilled team of hair and makeup specialists with experience of over 12 years in the industry. Coral is the Most Awarded Marriage Celebrant in Australia, creating for you a romantic, intimate, personal and relaxed marriage ceremony.